List of Contributors. Preface. Contents of Other Volumes. The Pituitary Gland: Anatomy and Histophysiology, J.N. Ball and B.I. Baker. The Neurophypophys, A.M. Perks. Prolactin (Fish Prolactin or Paralactin) and Growth Hormone, J.N. Ball. 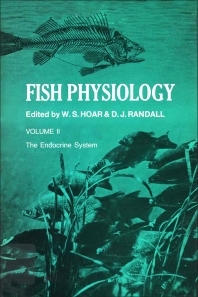 Thyroid Function and Its Control in Fishes, A. Gorbman. The Endocrine Pancreas, A. Epple. The adrenocortical Steroids, Adrenocorticotropin and the Corpuscles of Stannius, I.C. Jones, D.K.O. Chan, I.W. Henderson and J.N. Ball. The Ultimobranchial Glands and Calcium Regulation, D.H. Copp. Urophysis and Caudal Neurosecretory System, H.A. Bern. Author Index. Systematic Index. Subject Index.